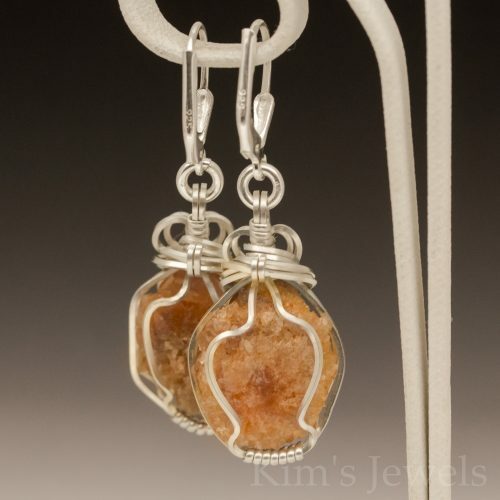 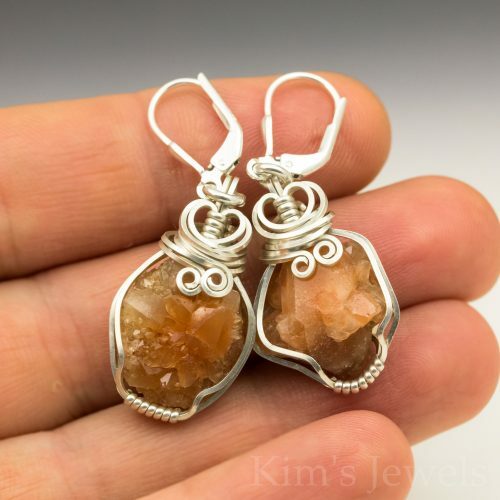 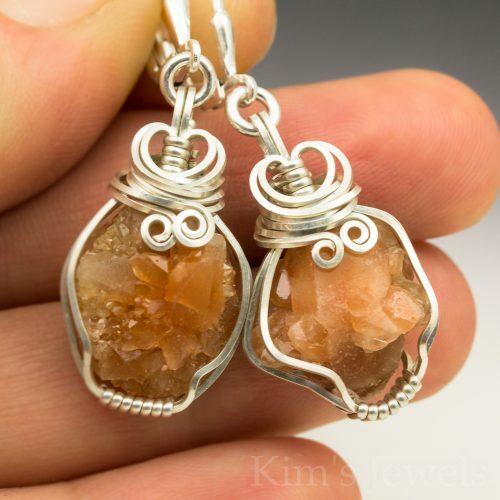 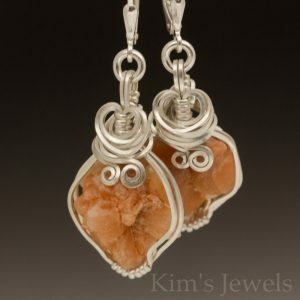 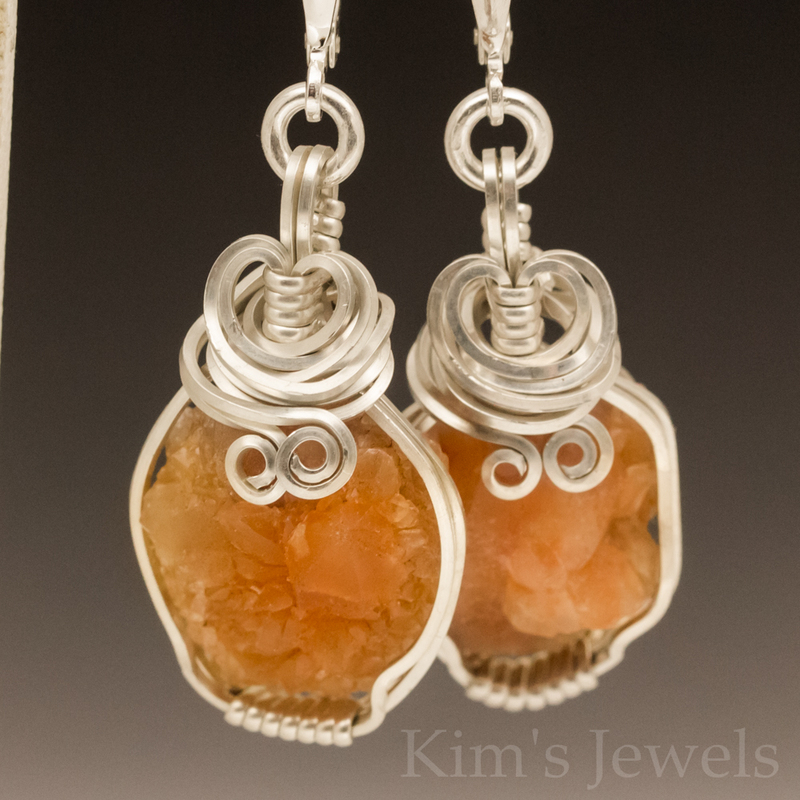 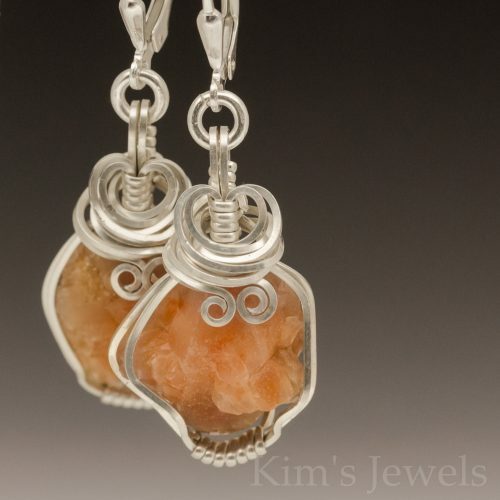 These earrings are hand-crafted with 22 gauge sterling silver square wire and Pecos Diamond Quartz crystal clusters. 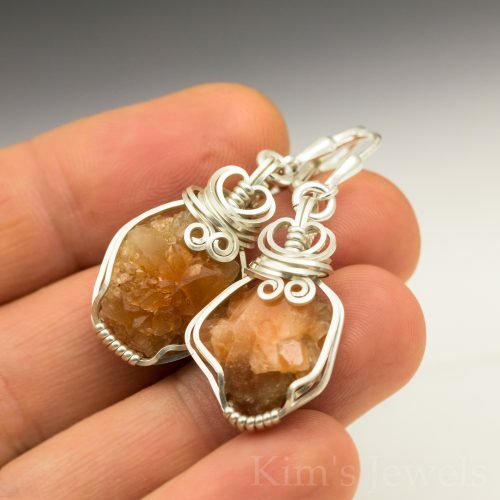 The wrapped stones measures 5/8″ x 1-1/8″. 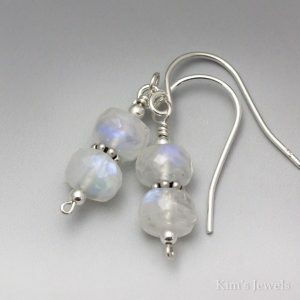 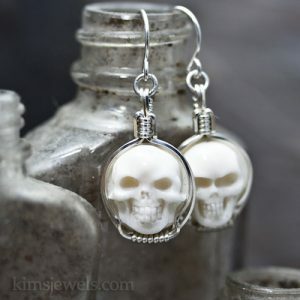 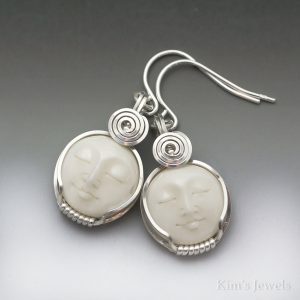 They are attached to sterling silver lever backs, and they add about 3/4″ to the overall length. The photo is enlarged to show detail.